This PDF is a bonanza of information, enumerating the multitude of factors involved in all sorts of beer phenomena. It’s called a Fishbone Diagram, and the reason is obvious once you see it. I can’t even begin to explain everything that’s in here, I mean it would takes hours (days?) to pick it apart. It’s pretty easy to interpret, although it is a bit of an information overload. Each page explains the various factors that influence a particular quality issue in beer. For example, below is a screenshot for the one of the pages [!] about how packaging and brewing issues interact to promote or limit beer oxidation. Other issues covered are controlling beer pH, fusel alcohols, H2S levels, foam quality, beer stability, yeast flocculation/vitality/viability, etc etc etc. Please excuse the rotated table of contents; I rotated the PDF so that the first page was the only one (of 42) that you needed to crane your neck to read. Better yet, print it out and enjoy it with a pint or two of your favorite beer. I’m going to go get a blonde ale out of the fridge right now. Edit, 1/2/13: I’ve recently been informed that the file on the host site disappeared, so I’ve rehosted it at another site. If it disappears again, shoot me an email and I’ll try to get it back up. Edit, 1/23/13: At the moment, the free file-hosting websites I’ve been using don’t seem to have much of a shelf-life. Either that or Greg Casey has a Google Alert on “beer fishbone diagram” and every time he sees the file posted he submits a takedown request to the hosting site. Anyway, I’m going to do this on an on-demand basis. 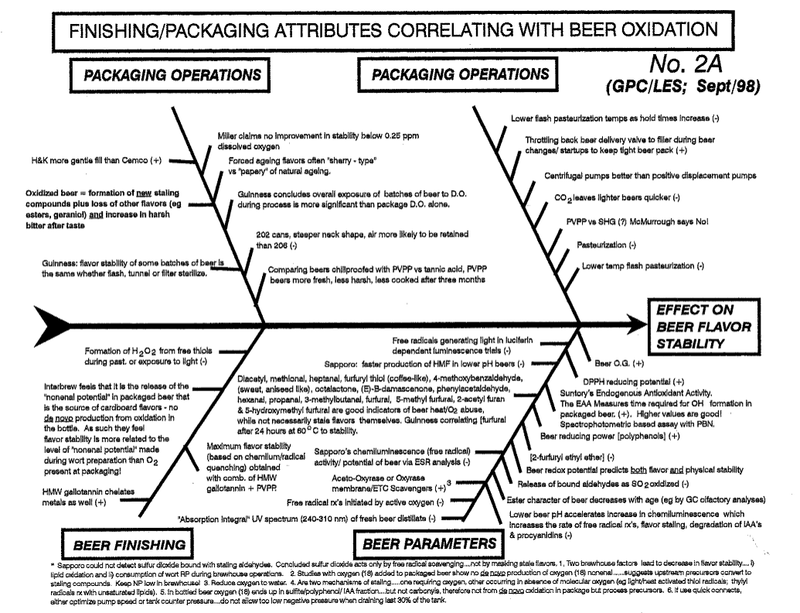 If you’d like a copy of the Beer Fishbone Diagrams, email me (found on “About” page) and I’ll get you a copy within a couple days. This entry was posted in Basic Tastes, Defects and Taints, Hop Flavor, Mouthfeel, Oxidation and Staling, Quality, Tools and tagged fishbone diagram, quality, tools. Bookmark the permalink. Super cool! I have immediately downloaded, and can’t wait to read and highlight. That thing is amazing… Print out and stick to wall of brewery stuff. Thanks very much. The link appears to be down again. Any chance of another upload? I didn’t see your email on the About page? Can you read my email from this comment? If so, I’d love a copy (if it’s not over a few meg. If so I’ll give an alternate email). Got it. I’ll send it out tomorrow, and check on whether my email is there. Thanks. I appreciate it. It’s a nice bonus from a cool blog. I can assure you it was not me who took them off-line. In retirement, I am enjoying being mentored by my son, Troy Casey, on the science of Belgian sours. Is this not the best time in the history of the world to be an American who loves beer, eh?! It’s an honor to have you commenting here, and I’m a bit relieved that you have no issues with the dissemination of your content. 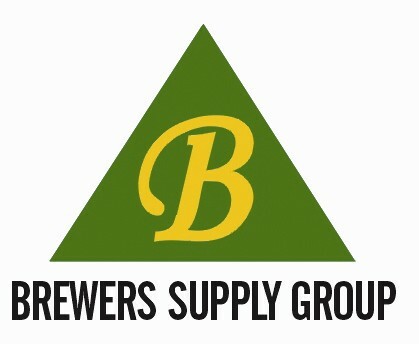 Please take care, and thanks for your hard work throughout your career of supporting the brewing industry.